This portrait's custom work by Gary Cieradkowski of The Infinite Baseball Card Set and a worthy addition to any collection. It's doubly good for me, as a long-time student of Japan itself! This isn't the first time Rob sent cards my way, as we belong to the same trading group. Some years back, this gentleman in green arrived as a hit to my #5 type wantlist, with Mr. Fitts as the source. TCMA printed this, America's first set featuring Japanese pro players, in a style similar to their 1979 minor league cards. Find the 90-card checklist at OldBaseball.com, which includes fellows with MLB experience like Tony Muser, Vern Law, and Felix Millan. Anyone who hits for .329/16/91 can hold a #3 lineup spot, but check the totals--that's for career season #17! 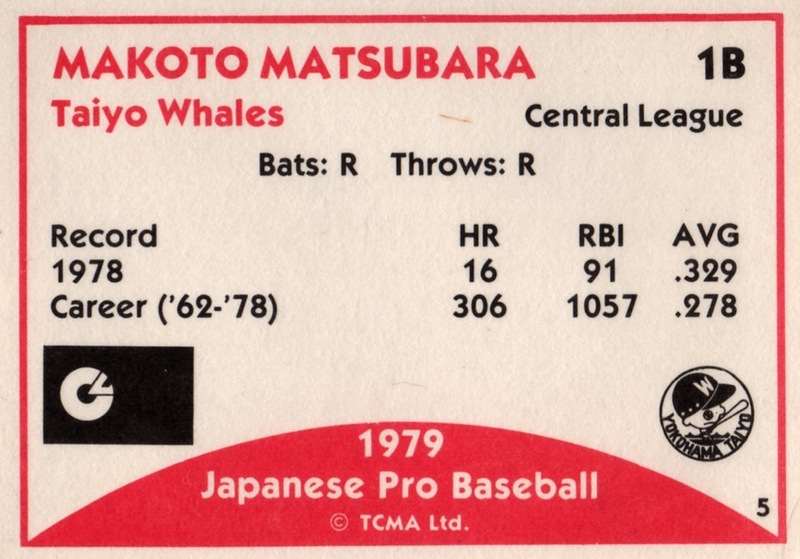 Matsubara's 45 doubles also led the league, proving he brought both power and speed to the plate. 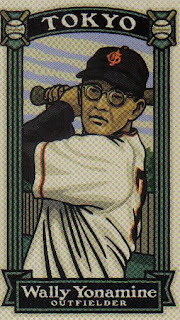 To bring this post full-circle, TCMA card #89 features none other than Wally Yomamine, as one of a handful of coaches and managers. (The picture above's not an actual card, but shows him from the same era.) Good luck with the new book, Rob! Value: Singles of lesser-known players cost a dollar or two. 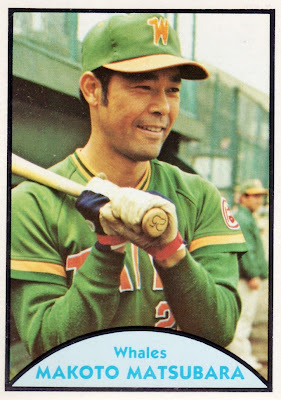 American players and Sadaharu Oh will run more, given their notoriety.